Richard Barratt has chosen STORM as part of his feeding regime. 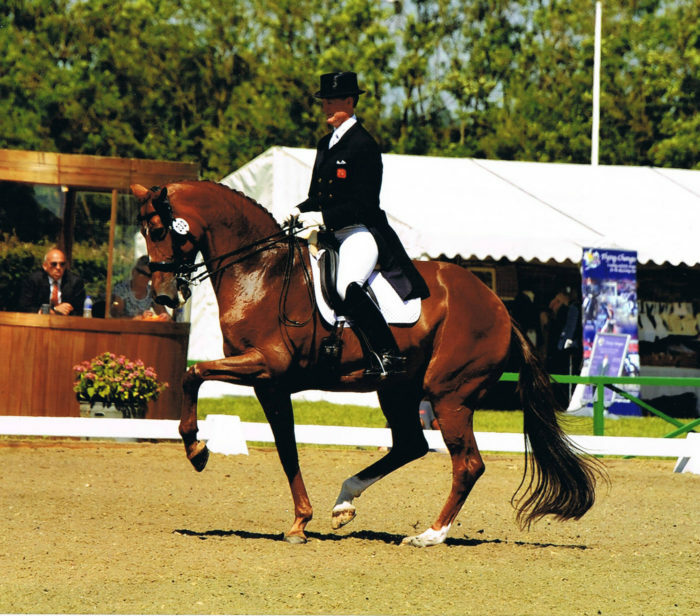 Richard is an experienced dressage rider and trainer that has competed and trained to national an international level. He knows what it takes to produce a seriously good horse. He recently tried STORM for a horse that was struggling during training sessions, here are his thoughts…. “Storm was recommended to me by a friend when I was having problems with stamina and muscle fatigue 3/4 of the way through a training session with a particular horse. There has been a marked improvement in this horse’s ability to maintain the quality of her work without the muscles tiring like they did before. Racing Blue are very pleased to receive this feedback as we have always felt that STORM’s ability to help horses tackle muscle acidity and fight muscle fatigue would be beneficial to dressage horses. Certainly, certain muscle groups may become more acidic when performing particular movements or series of exercises.